We have a workstation with Adobe Acrobat Pro X and a scanner for scanning paper documents to PDF. Visit our detailed software list page. Our computer lab is outfitted with a Dawg Prints printer that is capable of double-sided printing. In order to use the printer, you must have a valid Husky Card. Don’t have a Husky Card or need to print something larger than the standard Letter paper size? 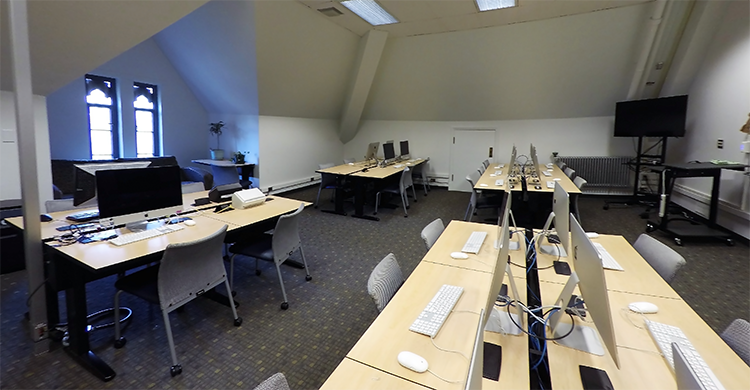 There are various copy centers located on campus including one directly behind Miller Hall in the Communications Building. More information about Pricing, Payment, Alternative Printer Locations, Scan and Copy Locations, and Copy Center Locations. 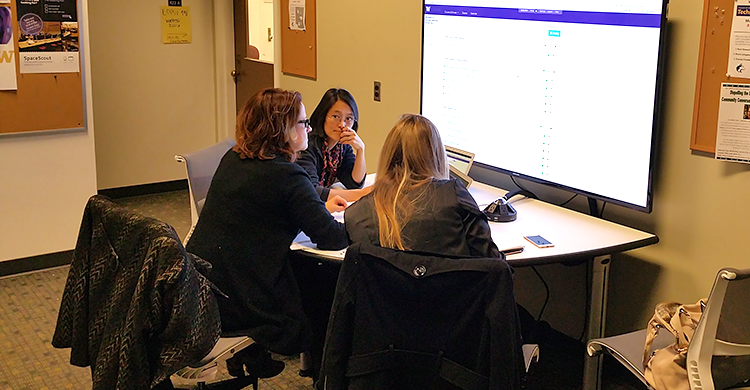 The Collaboration Station facilitates in-person, interactive, small group projects or meetings. 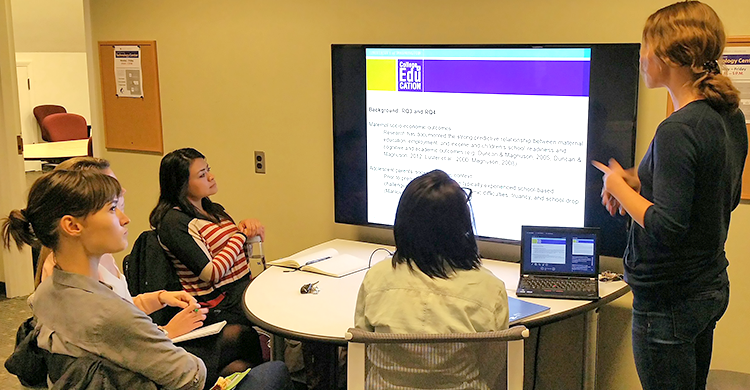 Group members can collaborate on a large 60″ plasma screen, visible to all group members. Utilizing this setup, team members can easily and quickly switch between laptops on the shared screen. 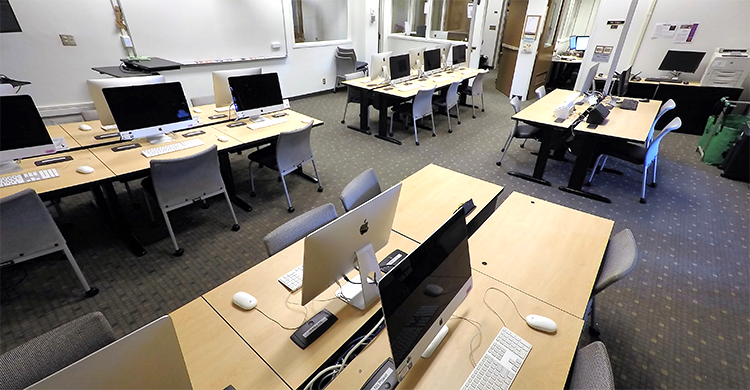 The Collaboration Station in The Technology Center is a walk-up system and does not require a reservation. If you need help with the Collaboration Station, or need to report a problem, please contact the help desk staff.